To value and love every child and parent like family. Class Leader: As the point person for a class, a Class Leader is expected to know the lesson well, lead the Class Assistants in what to do with the children, and connect with parents. A Class Leader should be free from leading a small group so he or she can ensure the Divide and Love strategy is being implemented, that all the Class Assistants are supported, and to handle disciplinary situations. But of course if not enough Class Assistants are present then a Class Leader will take a small group of children along with the Class Assistants. A Class Leader’s Win: I win when I engage with Class Assistants, parents, and children while working to provide a safe, loving environment where children can build relationships with adults using the “Divide and Love” Strategy. Class Assistant: A Class Assistant is expected to know the lesson well and to invest in a small group of children. Class Assistants follow the lead of their Class Leader. A Class Assistant’s Win: I win when I ensure that the children learn about the day’s bottom line presented in the lesson by engaging every child through the “Divide and Love” Strategy. Youth Volunteer: Young helpers who assist the Class Leader and Class Assistants. Unless a child is serving with his or her family, he or she must be at least 11 years of age to serve as a helper in Wonder Warehouse, in 6th grade to serve in Cross Street, and in 9th grade to serve in Revolve. A Youth Volunteer’s Win in Wonder Warehouse: I win when I comfort a child/children through play and interactive time, which helps to facilitate a calmer environment more conducive to learning. A Youth Volunteer’s Win in Cross Street: I win when I listen to my Class Leader and carry out what I’m asked to do with excellence. A Youth Volunteer’s Win in Revolve: I win when I help support the Small Group Leader by being engaged during worship, pay attention during large group, and help foster intentional conversation during small group time. Storyteller: By using a script provided by Large Group leadership, storytellers get to tell kids engaging stories from God’s Word. A Storyteller’s Win: I win when I teach a lesson that sets up class time for good discussion. Worship Leader: No singing required! You are provided with a simple script and videos showing dance moves to learn ahead of time. During worship you lead by dancing and encouraging the kids to dance with you. A Worship Leader’s Win: I win when I have established a welcoming environment to worship God. Tech Crew: In Cross Street we have Tech Crews running the soundboard, computer, and lights during Large Group. A Tech Crew’s Win: I win when I have enhanced the Large Group environment to help children remain engaged. Small Group Leader: As a Small Group Leader you are expected to have studied your lesson beforehand so that on Sunday you are prepared to lead your Small Group in meaningful discussions, but more importantly you are prepared to build authentic relationships with the kids in your Small Group. A Small Group Leader’s Win: I win when I have connected with each student before, during, and after Small Group. Speaker: Using the outline provided by Revolve leadership, your job is to explore a Biblical Truth by sharing a story from the Bible. A Speaker’s Win: I win when I have taught a lesson that can help a student grow in their knowledge of the Bible and how it can be applied to their lives. Check In Leader: This role focuses on welcoming and assisting parents as kids are checked into GCC’s Kids Ministry. A Check In Leader’s Win: I win when I welcome EVERY family that walks through the front door of Grace Community Church. Special Needs Buddy: A “Buddy” is an amazing role where a leader is partnered with a child who has special needs. We are an inclusive ministry, so a Buddy helps his or her child during large group and class time. A Buddy’s Win: I win when I create a partnership between the family with a special needs child and myself that will help the child know church is a place of belonging. Set Up/Tear Down Leader: Since both campuses of Grace Community Church are located in schools, Set Up Volunteers and Tear Down Volunteers are needed in order to create exciting environments where kids can build relationships with leaders and grow in their faith. A Set Up Leader’s Win: I win when environments are carefully set up on time and no damage has been inflicted upon the school or church property. A Tear Down Leader’s Win: I win when environments are carefully broken down and equipment properly stored so that no damage has been inflicted upon the school, and equipment will be easily accessible for the Set Up Volunteers the following Sunday. Supply Team: Leaders meet during the week in order to work on supplies that will be needed on Sundays or for special events. 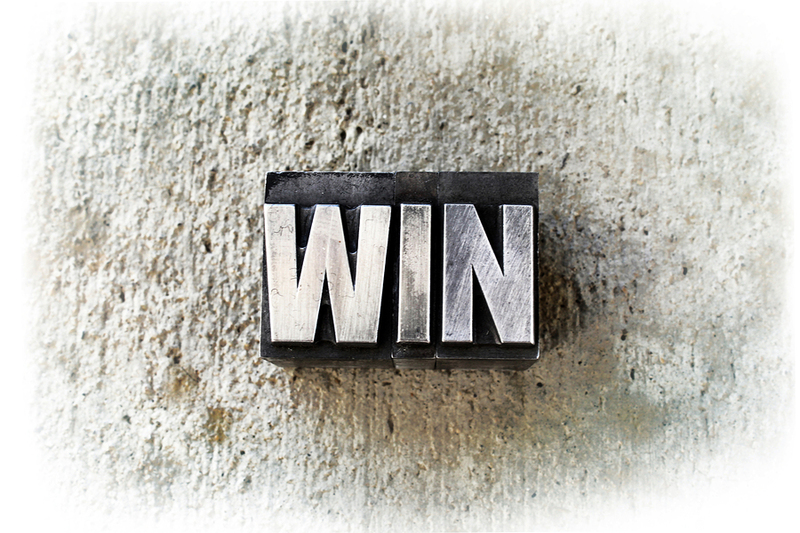 A Supply Leader’s Win: I win when the resources necessary are allocated and delivered so that those who requested the supplies are sufficiently equipped to successfully complete their role. This entry was posted in Children's Ministry. Bookmark the permalink.